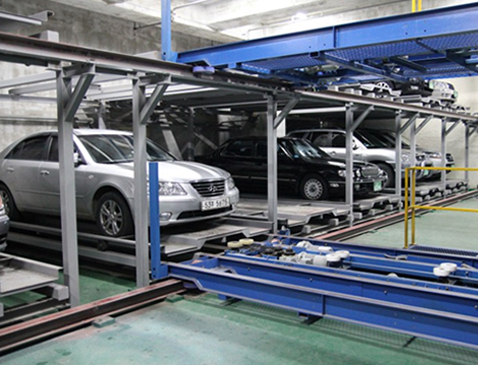 Cart Parking System is a multilevel construction for parking with vertical lift feature and horizontal movement on the built-in carts. 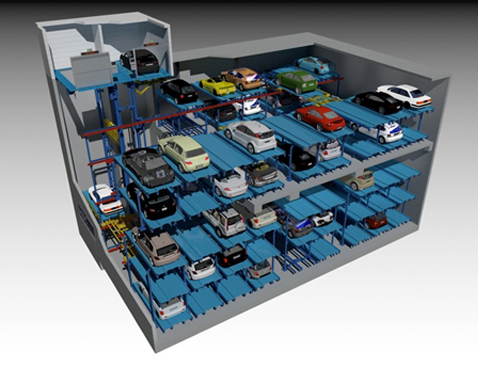 Parking system may be equipped with one or more vertical lifts, horizontal movement carts at each level providing simultaneous functioning and as a result fast speed of vehicle entry and retrieval. 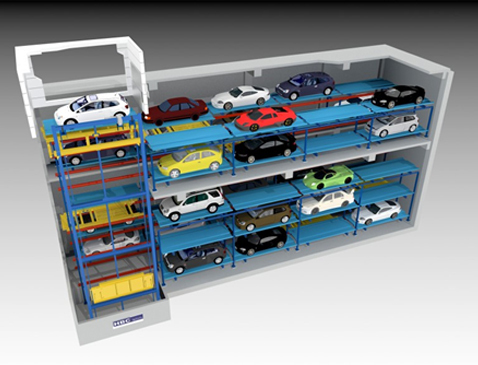 Such parking is more suitable for large scale construction objects providing the maximum of parking space, what makes this type the most popular in the world due to its convenience and security. Three-axis simultaneous functioning of vertical lift and carts providing short time of vehicle entry and retrieval. 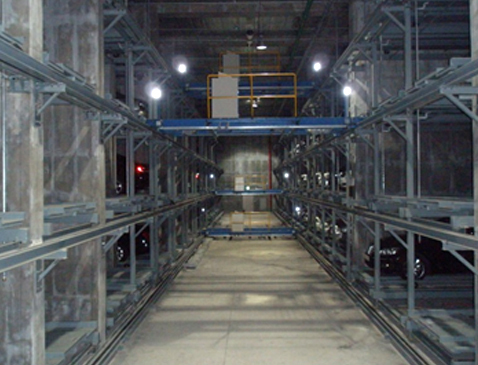 Various configuration are implemented in order to provide the maximum parking capacity. Suitable for large scale construction projects. Depending on land size standard or cross-sectional types may be applied. 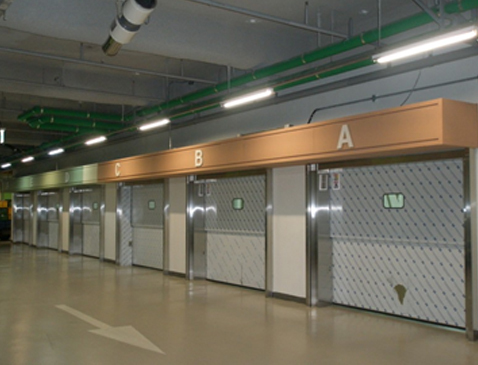 The vertical lift and entrance positioning may be designed according to a customer request.